[00:56] – Paige talks about Extraordinary Ventures’ mission, how it operates, and how it got started. [03:22] – We hear more about lean startup principles, what they are, and how EV has leveraged them to build successful entities. [05:01] – Tom draws out some of the fascinating things that Paige has been talking about regarding the two questions they need to look at. [05:37] – Paige talks about some of the specific tests they ran, and mentions the various different businesses that EV has. She goes into depth on this topic with an example using their most recent business, which is dog walking, and explains how they tested the potential of the business before committing to it. [09:15] – Tom shares his thoughts on what Paige has been saying about the dog-walking business and pulls out some important advice for listeners. 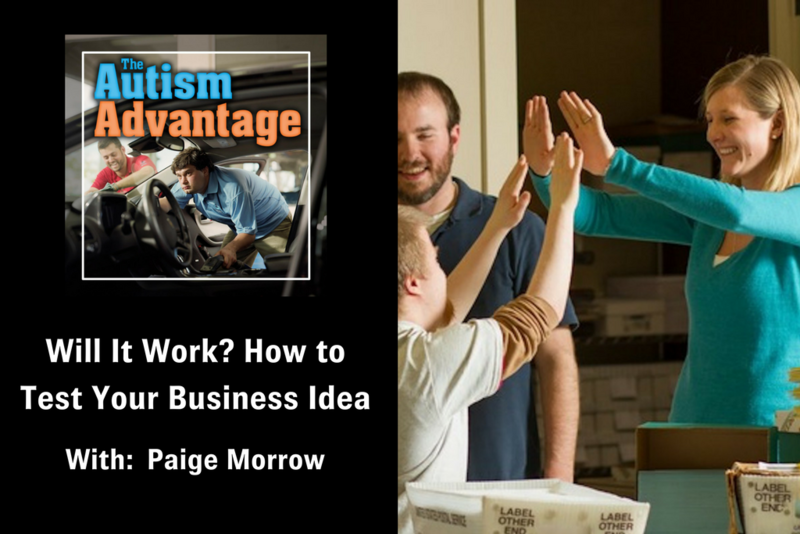 [10:23] – What are some of the advantages that Paige has seen in employing people with autism? [11:38] – Everybody has a natural inclination to focus on their deficits and those of the people around them, rather than focusing on their strengths, Tom points out. [12:35] – One of the things that Tom has found at Rising Tide is that structuring the work environment is a critical part of building a successful autism-based social enterprise. [13:15] – Paige responds by discussing how EV has gone about structuring the work environment, and what the benefits of that have been. [15:25] – Does Paige have any thoughts on how one could go about testing different structures and supports, or build a system of them from the ground up? [17:18] – Tom points out that one of Paige’s concepts was that building structures and processes leads to a consistent, high-quality service. [18:05] – Paige uses Tom as an example, pointing out that he probably hasn’t ever made a candle before but would be able to make one on his first day using their existing structures. [19:17] – How has EV been growing? Paige’s answer reveals just how impressive the company is, and how fast it has grown. [20:59] – Paige offers some various ways that listeners can contribute to and support Extraordinary Ventures.